Kazakhstan President Nursultan Nazarbayev shocked the nation Tuesday when he announced he would be resigning after nearly 30 years in power. Here is a recap of some of the world leaders who have held power the longest — excluding monarchs enthroned for life. Topping the list with 49 years in power is Cuba’s revolutionary hero Fidel Castro, who handed over to his brother Raul in 2008 when he was in his early 80s. Taiwan’s first president Chiang Kai-shek was in charge on the island and in mainland China for a total of 47 years until his death in 1975. North Korean founder Kim Il Sung ran the reclusive state for 46 years before dying in office in 1994. He is still revered as the “eternal leader”. Moamer Kadhafi ruled Libya with an iron fist for almost 42 years before being ousted and then slaughtered in 2011 by rebels. Omar Bongo governed oil-rich Gabon for more than 41 years until his death in 2009. Currently, the world’s longest serving president is Equatorial Guinea’s Teodoro Obiang Nguema, with 39 years under his belt since he toppled his uncle in 1979. 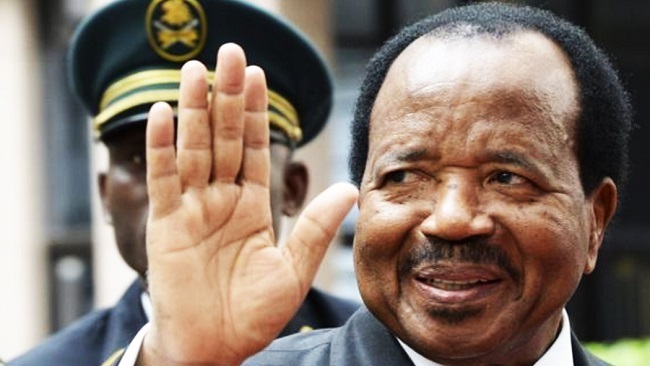 Cameroon’s President Paul Biya: 36 years. Cambodian Prime Minister Hun Sen: 34 years. Uganda’s President Yoweri Museveni: 33 years. Iran’s Supreme Leader Ayatollah Ali Khamenei: 29 years. Sudan’s President Omar al-Bashir: 29 years. Chad’s President Idriss Deby: 28 years. Tajikistan’s President Emomali Rakhmon: 26 years. Eritrea’s President Isaias Afwerki: 25 years.